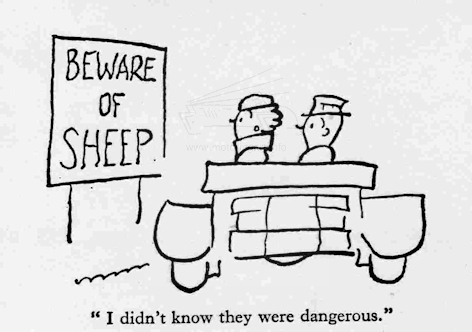 Famous cartoonist who drew early motoring cartoons. He did a series of humorous drawings in 1935 for Cleveland Discol. Best known for his strip cartoons with simple line artwork. He produced the famous Second World War posters of ‘Careless Talk Costs Lives’. Was Editor for Punch magazine 1949 to 1953 after being Art Editor in 1937. 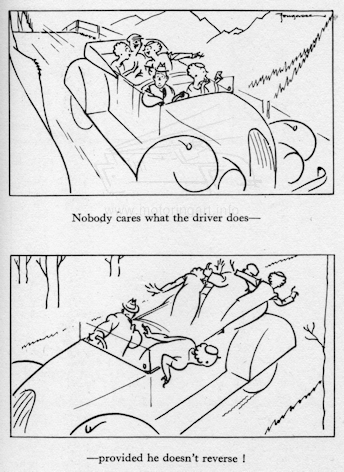 A book of his motoring cartoons ‘You Have Been Warned – A Complete Guide to the Road’ was published in 1935 and another book ‘The Luck of the Draw’ contains several motoring cartoons.